President Barack Obama opened up about his so-called "Obama doctrine," the overarching principle that guides his foreign policy in places like the Middle East where his administration recently negotiated a framework of a deal with Iran over its nuclear program, and Cuba where the U.S. recently loosened long-standing travel restrictions. 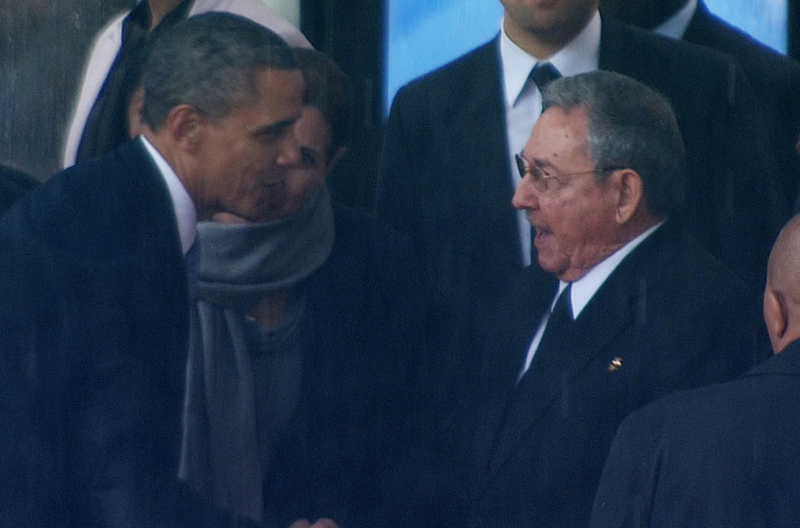 “You take a country like Cuba. For us to test the possibility that engagement leads to a better outcome for the Cuban people, there aren’t that many risks for us. It’s a tiny little country. It’s not one that threatens our core security interests, and so [there’s no reason not] to test the proposition. And if it turns out that it doesn’t lead to better outcomes, we can adjust our policies," he said. Asked by Friedman whether the deal with Iran would allow international nuclear inspectors access "anywhere" in the country, Obama responded, "That we suspect." “Obviously, a request will have to be made. Iran could object, but what we have done is to try to design a mechanism whereby once those objections are heard, that it is not a final veto that Iran has, but in fact some sort of international mechanism will be in place that makes a fair assessment as to whether there should be an inspection, and if they determine it should be, that’s the tiebreaker, not Iran saying, ‘No, you can’t come here,'" he added. Obama also took issue with critics who alleged that he and his administration did not fully support Israel, stating that it "has been personally difficult for me to hear … expressions that somehow … this administration has not done everything it could to look out for Israel’s interest."